Ulaanbaatar, (Mongolian: literally “Red Hero”) is Mongolia’s capital and largest city. 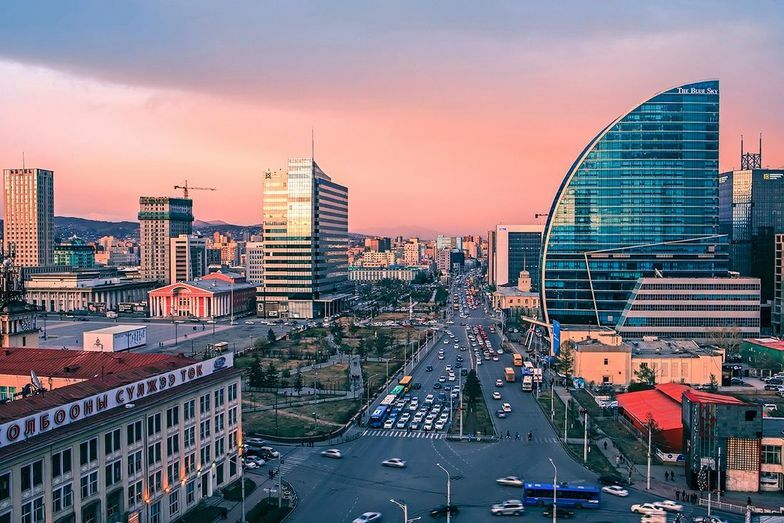 A municipality, the city is not part of any aimag (province), and its population as of 2014 was over 1.3 million, almost half of the country’s total population. Located in north central Mongolia, the municipality lies at an elevation of about 1,310 meters (4,300 ft) in a valley on the Tuul River. It is the country’s cultural, industrial and financial heart, the centre of Mongolia’s road network and connected by rail to both the Trans-Siberian Railway in Russia and the Chinese railway system. The city was founded in 1639 as a nomadic Buddhist monastic center. In 1778, it settled permanently at its present location, the junction of the Tuul and Selbe rivers. Before that, it changed location twenty-eight times, with each location being chosen ceremonially. In the twentieth century, Ulaanbaatar grew into a major manufacturing center. Ulaanbaatar is located at about 1,350 meters (4,430 ft) above mean sea level, slightly east of the center of Mongolia on the Tuul River, a subtributary of the Selenge, in a valley at the foot of the mountain Bogd Khan Uul. Bogd Khan Uul is a broad, heavily forested mountain rising 2,250 meters (7,380 ft) to the south of Ulaanbaatar. It forms the boundary between the steppe zone to the south and the forest-steppe zone to the north. It is also one of the oldest reserves in the world, being protected by law since the 18th century. The forests of the mountains surrounding Ulaanbaatar are composed of evergreen pines, deciduous larches and birches while the riverine forest of the Tuul River is composed of broad-leaved, deciduous poplars, elms and willows. As a point of reference Ulaanbaatar lies on roughly the same latitude as Vienna, Munich and Orléans. It lies on roughly the same longitude as Chongqing, Hanoi and Jakarta. Owing to its high elevation, its relatively high latitude, its location hundreds of kilometres from any coast, and the effects of the Siberian anticyclone, Ulaanbaatar is the coldest national capital in the world, with a monsoon-influenced, cold semi-arid climate (Köppen BSk, USDA Plant Hardiness Zone 3b) that closely borders a subarctic climate (Dwc) and warm-summer humid continental (Dwb). The city features brief, warm summers and long, bitterly cold and dry winters. The coldest January temperatures, usually at the time just before sunrise, are between −36 and −40 °C (−32.8 and −40.0 °F) with no wind, due to temperature inversion. Most of the annual precipitation of 267 millimetres (10.51 in) falls from June to September. The highest recorded precipitation in the city was 659 millimetres or 25.94 inches at the Khureltogoot Astronomical Observatory on Mount Bogd Khan Uul. Ulaanbaatar has an average annual temperature of −0.4 °C or 31.3 °F, making it the coldest capital in the world.